If you were injured in any type of car accident with a Lyft driver in the Florida Keys, then you should consult with our Florida Keys Lyft car accident attorneys. At the Wolfson Law Firm, we represent Lyft passengers, Lyft drivers and anyone injured due to the negligence of a Lyft driver. We offer free consultations and never charge you a fee unless and until we make a financial recovery for you. Call us at (305) 285-1115 and let us answer your questions. If you don’t have a case, we will let you know. If you do in fact have a case, we can outline a plan of action for you to get the justice and compensation you deserve for your Florida Keys Lyft car accident. In July of 2017 it finally became legal and viable for Lyft, Uber and other TNC’s (Transportation Network Companies) to operate in the Florida Keys. The reason for this was the passage of a new law – Florida Statute 627.748. This new law established that state law would control the TNC industry. Prior to the passage of FS 627.748, the TNC industry was subject to the whims of city and county authorities. In South Florida, Broward County led the fight against Uber and Lyft. Palm Beach County and Miami-Dade County basically sat back and watched. In the course of the “Uber Wars” in Broward, Uber and Lyft suspended operations in Broward. This led to a public outcry directed at the county commissioners. The taxi and limousine industries were also targeted. Ultimately, concessions were made by the Broward County Commission and the issue was resolved in favor of the TNC’s. In the Florida Keys, similar attempts were made in local and county levels to prevent TNC’s from operating in the Monroe County and the Florida Keys. This is a familiar battle to the Florida Keys. It is similar to the attempts to ban and/or regulate Airbnb rentals. But once Florida Statute 627.748 was enacted, local and county authorities lost their authority to regulate the TNC’s such as Uber and Lyft. At the Wolfson Law Firm, our Florida Keys accident lawyers are quite familiar with Lyft/ Uber claims and personal injury lawsuits. We have represented Lyft drivers, passengers and individuals injured by the negligent actions of a Lyft driver. We have a complete understanding of the complex insurance coverage issues that arise in nearly every Lyft or Uber accident cases. In fact, a member of our Florida Keys Lyft accident team is a former Uber and Lyft driver in South Florida. That experience gives us a unique perspective into the TNC industry. 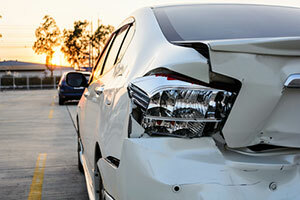 The Florida Keys accident lawyers at the Wolfson Law Firm offer complete personal injury representation for Lyft Passengers, Lyft drivers and anyone injured in an accident with a Lyft driver. We are proud to serve all the communities of the Florida Keys and Monroe County including Key West, Plantation Key, Islamorada, Tavernier, Key Largo and Marathon. Call us today for your free consultation at (305) 285-1115.